Click on book title above to order. We publish 16 to 18 books a year of poetry, short story collections, and novellas. Shop our catalog. Individual donors continue to be our most important supporters. 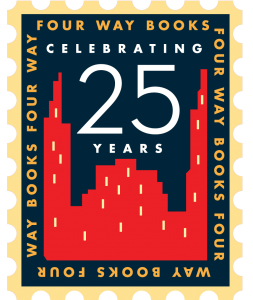 I hope that you will consider making a donation to Four Way Books today as we move into our 3rd decade of serving the literary community. Four + ways to submit during the year.